Desk Nameplate & Business Card Holder 8"
Our high quality 8" Desk Nameplate is made of solid rosewood with a high gloss finish. Holds your company busniess cards too! 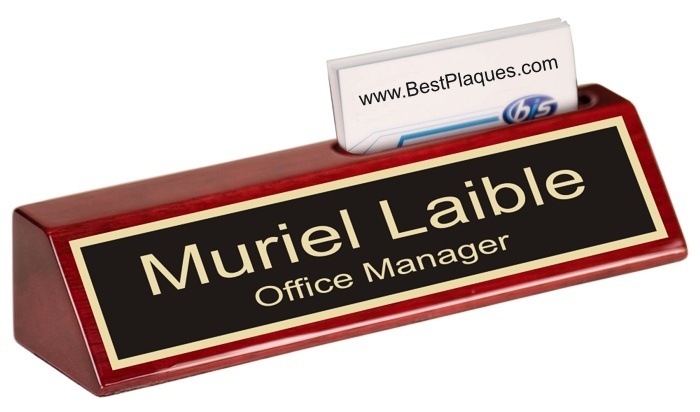 Gold accents and gold engraving make this a bestplaques.com favorite. shipping time for all engraved items.